Over more than fifty years, we have worked on a diverse range of architectural and urban design projects. This project archive celebrates this history which has laid the foundations for our expertise today in designing and delivering complex mixed-use projects around the world. The Edinburgh International Conference Centre is a key part of the wider Farrells redevelopment of old railway land to form The Exchange, Edinburgh’s financial zone in the west end of the city. Construction on the EICC began in March 1993 and the centre opened in 1995. The EICC’s drum shape mimics the adjacent Usher Hall, Scottish Broch’s and Castle’s. 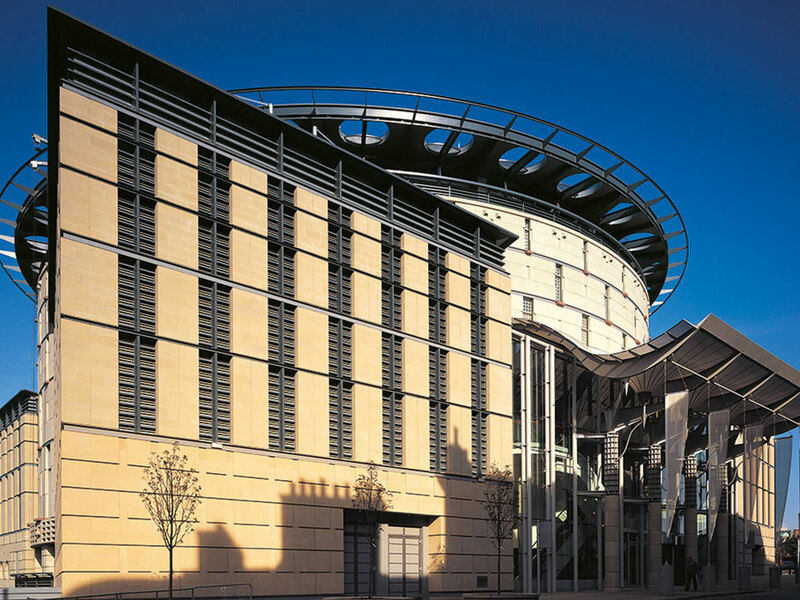 The EICC has a max capacity of 1200 with revolving theatres and moving floors that sub-divide and transform the auditoria spaces; ground-breaking features that give ongoing flexibility of use. The wider masterplan provided a new conference and exhibition centre for the City and a new office business centre, public parking and improvements to the environment of the existing adjacent hotels. 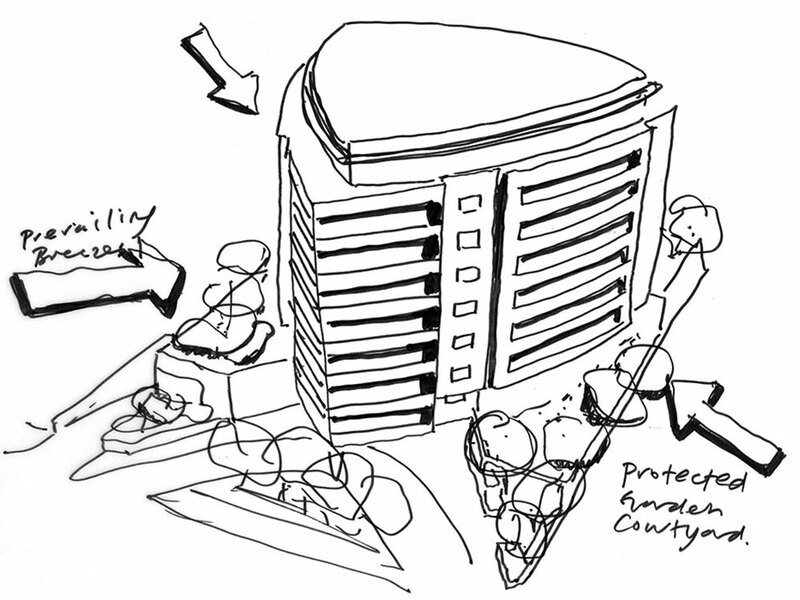 The plan uses the steeply sloping site to establish a mid-level public square, fronting this with an office crescent and the Conference Centre. Bulk, scale and height were recognised as important urban design considerations from the outset and several stages of public consultation were undertaken leading up to the eventual planning consent. The scheme heals and repairs the area which was previously a railway goods yard. It utilizes the new road approach to create a gateway to Edinburgh and improves the setting of the existing Festival Square. The International Centre for Life is a symbol of Newcastle University’s pre-eminence in the field of genetic research. The Millennium scheme combines a new block for the university’s genetics department; a Bioscience Centre with office and laboratory space for private sector bio-technology companies; a visitor attraction designed to inform the public about genetics and the story of DNA; and Times Square, Newcastle’s first new public square for over a century. 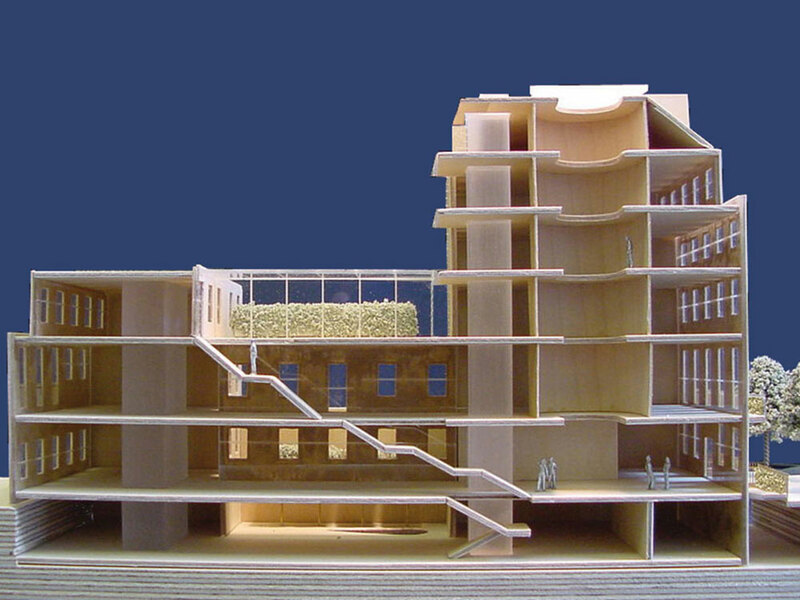 The architectural design of the complex responds to its setting, while creating sufficient coherence and identity to establish a new science Quarter. The International Centre for Life is a landmark urban regeneration project that celebrates and revives elements of Newcastle’s past. The architecture and urban planning actively promotes renewal, evolution and development, thereby mirroring the life-giving function of the building. 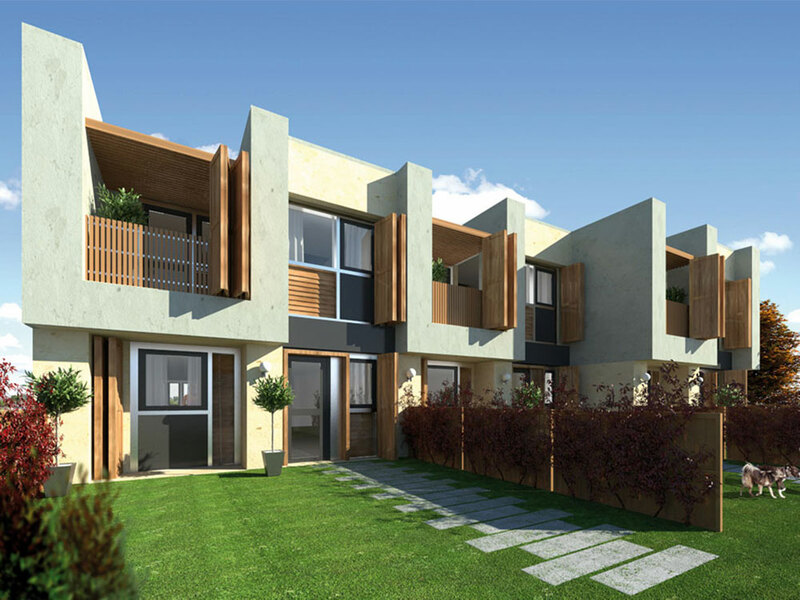 In May 2008, Farrells were commissioned to design and develop 19 houses and 24 apartments in Islamabad. The brief was complex utlising local materials, achieving a Breeam ‘Very Good’ rating and responding to seismic and security concerns. The London Clinic in Harley Street is one of the UK’s longest established and largest independent hospitals. The masterplan looked at new buildings and the refurbishment of the existing estate, part of a multi-site development programme. The scheme was phased to enable an economic restructuring and expansion of the existing facilities whilst responding to the needs of a fully operational hospital. Sensitive issues concerning the conservation area and residential properties that adjoin the sites are key considerations. 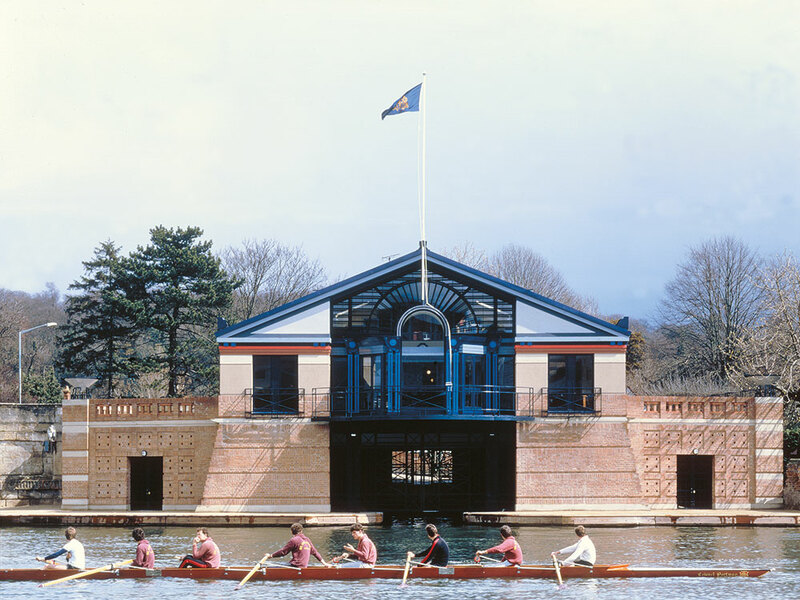 Architecturally, the building has been conceived as a formal ‘civic’ building reflecting the importance of the Royal Regatta in the life of Henley and the international rowing community. It was a rare challenge to accommodate the various functions of the Regatta organization within one building. The sensitive location had been occupied by a disused Public House and several run down boat sheds owned by the Regatta. The building is on three levels, each accommodating a specific function. The river level accommodation totalling some 6000 sq ft provides storage. The main level contains the office accommodation, reception spaces and the committee room, with its magnificent riverside views. To the rear of the committee room is a high level gallery for the Regatta Library flanked on either side by the Chairman’s and the Regatta Secretary’s offices. 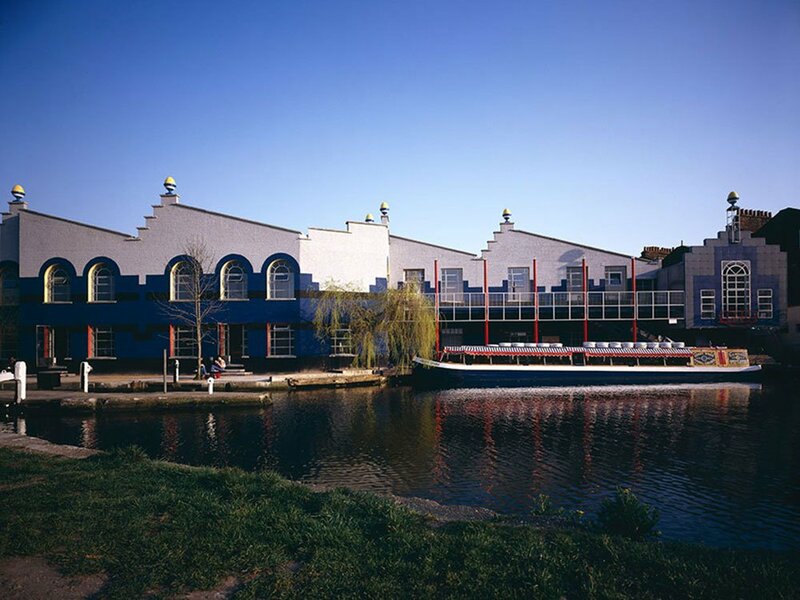 The project went on to win a number of awards including the 1987 Financial Times Architectural Award, the 1988 Civic Trust Award and the 1988 RIBA Award. 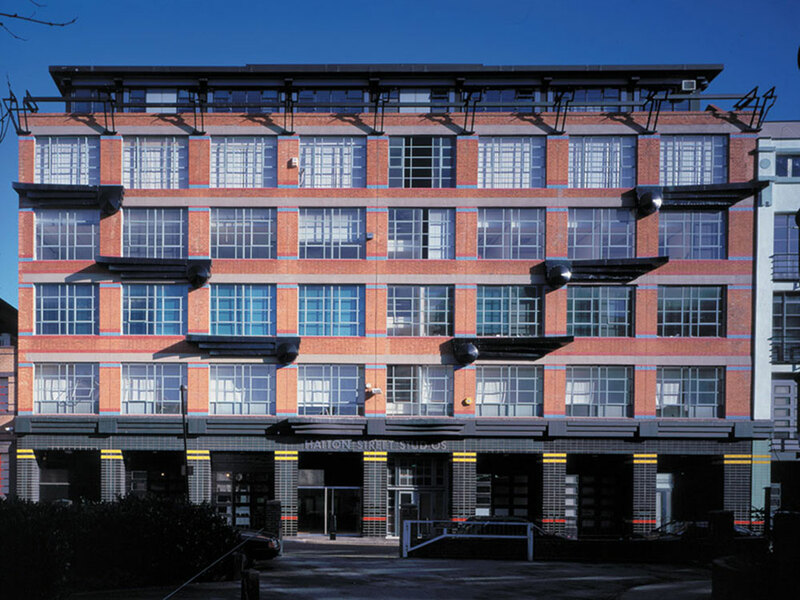 This headquarters building was designed at a time when Camden was revitalising itself by the presence of the thriving market. Surrounded by run-down commercial and industrial buildings, the new premises combined part new-build and part conversion of a 1930’s industrial garage. The brief was for new premises with two television studios, technical and production areas and office, conference and administrative facilities. Integral to the brief was the use of the building as a backdrop for visual media and to provide the new enterprise with a unique identity. The production facilities were on the ground floor level and the administration on the first floor level with the central stair at half floor level as a platform, from which the activities of the first floor can be seen. More importantly, it functioned as a meeting place, a sort of street corner where employees could interact. Like the great Hollywood musicals, this stair was not only a stair, but it also functioned as a stage set for the studio’s programmes, which since being taken over by MTV Europe, is still in regular use. Winning the 1985 Civic Trust Award, most of the building is unrecognisable now after several refurbishments. Farrells are the proud owners of one of the infamous eggs that once sat atop the building! The Green Building is set in Macintosh Village, Manchester, occupying a site adjacent to the river Medlock, and is an important component of the Macintosh Village masterplan. The iconic, circular structure of The Green Building makes the most efficient use of its quirky triangular site, creating a dramatic impact within its landmark setting. Conveniently located for the city centre, the Green Building provides a mixed-used complex, created for comfortable, modern and sustainable use. In addition to 32 apartments, there is a 120-place pre-school nursery, a doctor’s surgery and almost 2000 sq. ft. of commercial accommodation set over three floors. The Green Building was awarded the The Mail on Sunday National Home Builder Design Awards for Best Innovative Technology and the Civic Trust award for Sustainability in 2006. Originally constructed as a furniture factory, the building has undergone many adaptations over the last 90 years. The buildings were originally built by Bovis in the 1920s and 1930s. In 1940, the Bovis works were requisitioned for the Palmer Aero Works following the destruction of their Silvertown factory in the Blitz. In 1985, Terry Farrell transformed the site into a mixed-use complex. Number 9 became known as the Hatton Street Studios, and comprised a mixture of small companies. In 1997, Farrells moved into 7 Hatton Street. What was Palmer’s machine shop on the first floor is now a naturally lit architect’s studio. Hatton Street is the Farrells ‘Laboratory’ where our ideas take shape and is constantly evolving. The Marylebone-Euston Road is a key east-west artery in London. It has the potential to be transformed into one of London’s greatest assets with street life, attractive landscaping, major squares and green spaces. Our studies have focused on major transport infrastructure, interchanges, pedestrian flows, commercial addresses, office precincts and landscape improvement. Much of its enormous potential stems from the close proximity of a number of mainline stations; it is a significant arrival/departure point for mainland travel as well as having direct access to Europe via the Eurostar at Kings Cross St Pancras. Our intellectual framework has acted as a catalyst for change. A pedestrian crossing has since been installed under the flyover at Edgware Road, beginning to transform this car-dominated area into a more pedestrian-friendly zone. 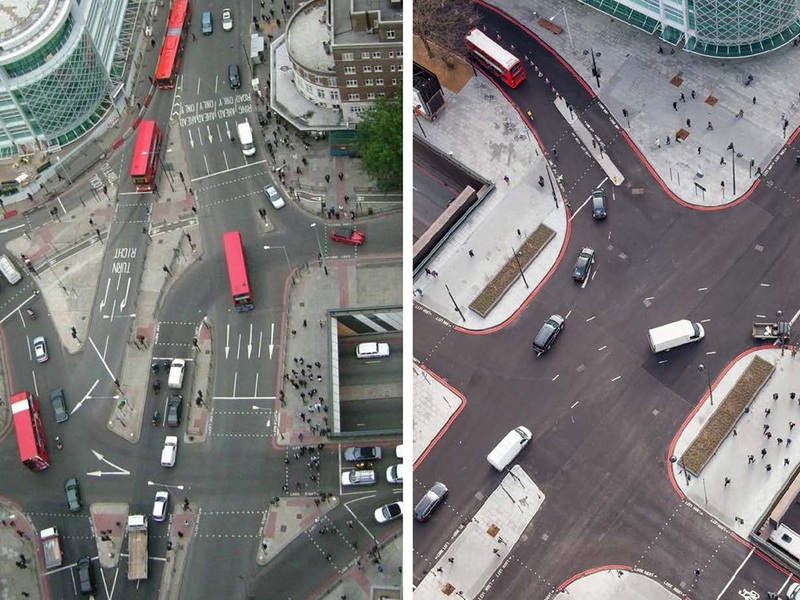 At Euston Circus, our proposals to integrate pedestrians and traffic have been built out and have brought a huge improvement to the pedestrian movement across Euston Road. Similarly, our Regent’s Place masterplan transformed this part of London from a disconnected commercial enclave into a liveable and attractive part of the city; all demonstrating the benefit of taking as our starting point that the ‘place’ as the client. 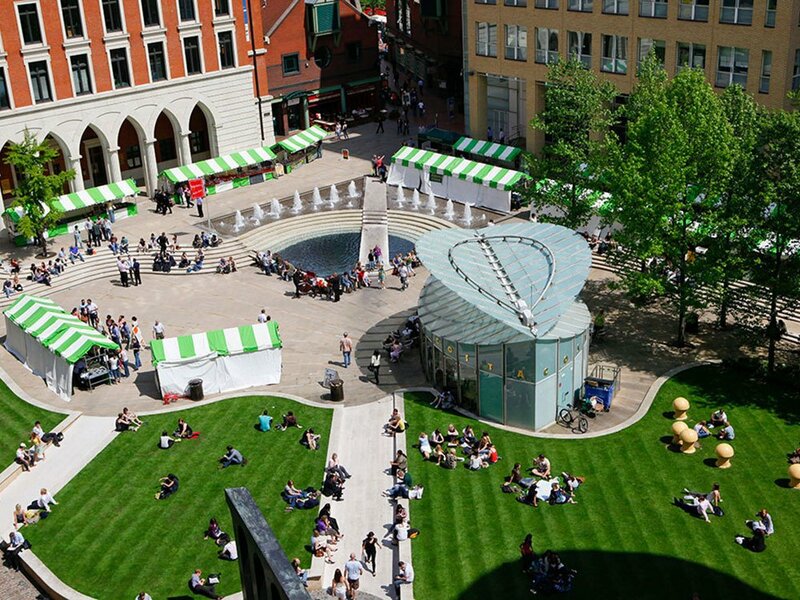 Brindley Place is about mending the city. It is a masterplan that seeks to undo the over-simplistic planning solutions of the 1950s and breathe new life and prosperity into a half-moribund section of the city. 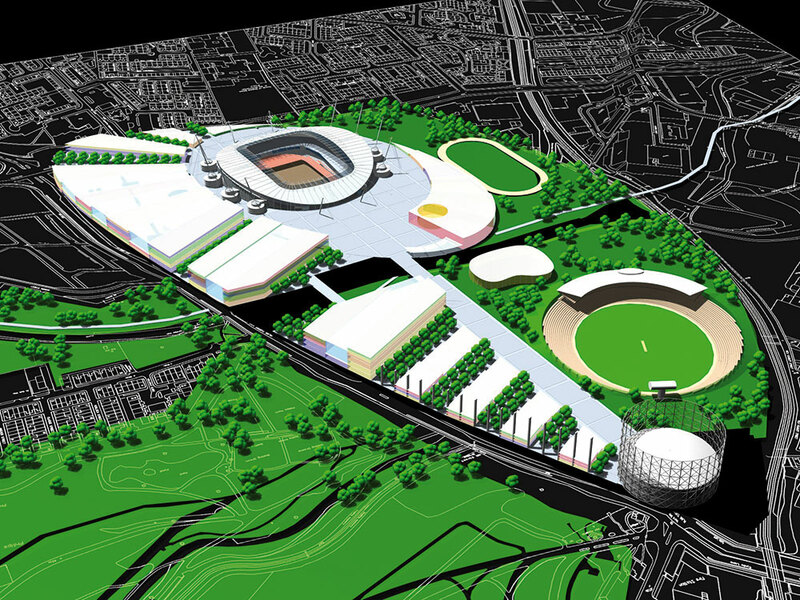 The site lies immediately next to Birmingham’s National Indoor Arena and International Conference Centre. It is central to the city’s strategic plan to expand the centre westwards and raise the city’s national and international profile. 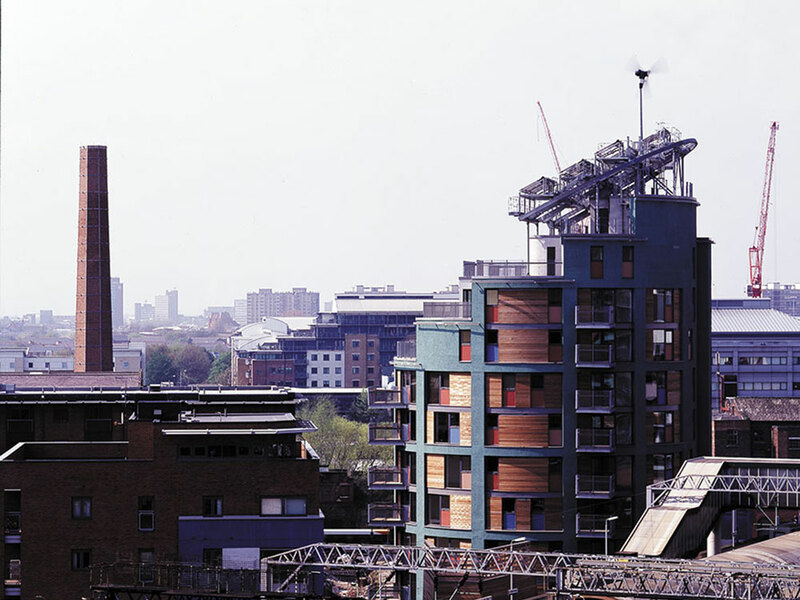 The 1991 Farrell masterplan gave Brindley Place a strong sense of character and historical continuity. The main principle behind Farrells work was the creation of a complete pedestrian network, articulated by a series of urban spaces on three axes that knitted into the city beyond. A new square provided a heart for the area; a high-level route linked to offices and shops; and a bridge connected to a leisure area. The canal edge was linked to the rest of the city by existing and proposed pedestrian bridges. The industrial relics of the area were integrated into the masterplan and three listed buildings were retained as focal points in the scheme. 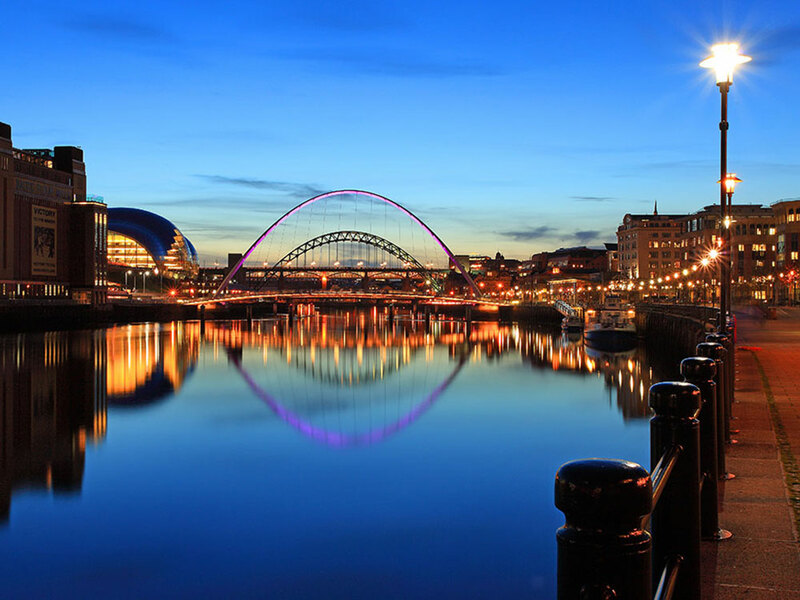 The Quayside offers an identity and character – unique to Newcastle – created by a sequence of landscaped squares and urban spaces along the river. The development provides an exceptional office environment and an exciting retail, leisure and public focus for the new Quarter; the layout and detail of the scheme forges links to all surrounding developments and neighbourhoods. The Masterplan for Newcastle Quayside provides a framework of urban spaces, pedestrian activity, vehicular and service circulation, services and other civil engineering infrastructure, together with urban design guidelines for the development of individual buildings which have been built over a period of time to conform with this framework. The Masterplan provides clear and legible pedestrian links throughout the site as well as enhancing the route along the river’s edge. It also affords a permeable pedestrian network outside the site, thereby knitting itself in as an integral part of the city. At the centre of the scheme, a major landscaped civic square provides a heart to the new Quarter and links retail and parking elements to the pedestrian route along the river. This pedestrian route passes through the whole of the scheme, intersecting several secondary urban spaces. 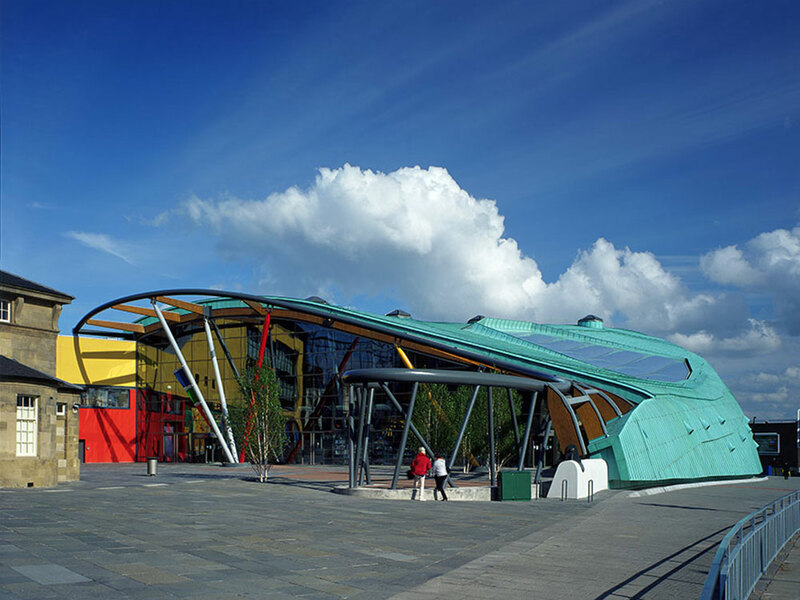 This project won the Civic Trust Urban Design Award and RTPI Spaces Award in 1998 and was recently awarded the 1999 British Urban Regeneration Award for Best Practice. The Farrells masterplan was based on a modern recreation of the historic ‘chares’ leading down to the River Tyne, and the development links the Newcastle Central and Lower Ouseburn conservation areas. The almost fully implemented masterplan for the University of Newcastle, and the subsequent initiatives of the Cultural Quarter and the Great North Museum, have firmly placed the new physical and intellectual front door of the university to face the traffic-dominated, fragmented and nameless area around the Civic Centre. With the University of Northumbria also realising that their own front door should face the city, the City Council commissioned Farrells to develop the merging idea of a civic precinct focussing on the links between these front doors and the Civic Centre. Comyn Ching triangle is typical of many central urban sites in London – an irregularly shaped plot that began with a mix of uses and ownerships. Over time it became a complex mix of awkward geometries and sub-standard buildings under one ownership. 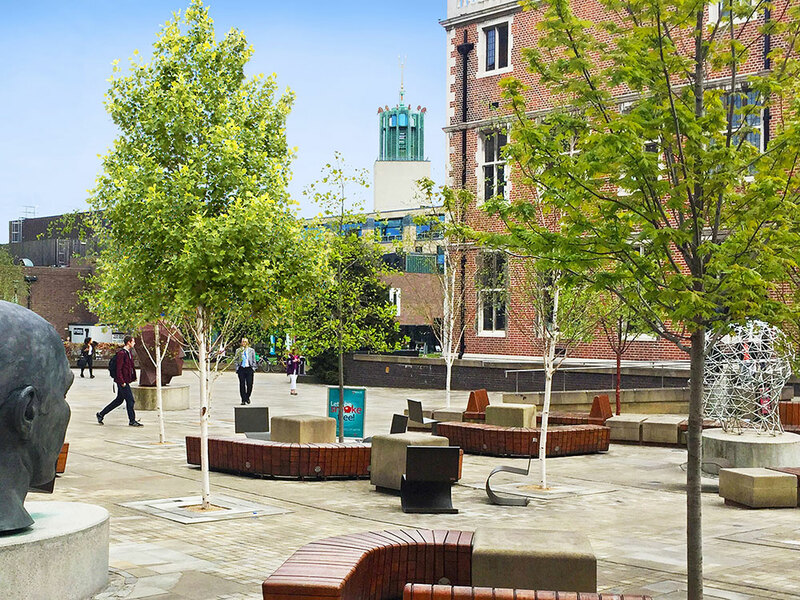 The most valuable asset – a quiet and hidden realm behind the street facade – was transformed, as a result of Farrells masterplan, into a courtyard, replacing the clutter of miscellaneous infi ll buildings. The resulting site has a clear identity, and both new and restored buildings contribute to the established grain of the surrounding area. The residential buildings are in three parts; a new block of 10 flats, five new houses and 18 fl ats converted from existing buildings. This mixed use scheme was carefully phased over a period of time and its sensitive design approach to listed buildings within a conservation area has won numerous awards, including the prestigious 1987 Civic Trust Prize. 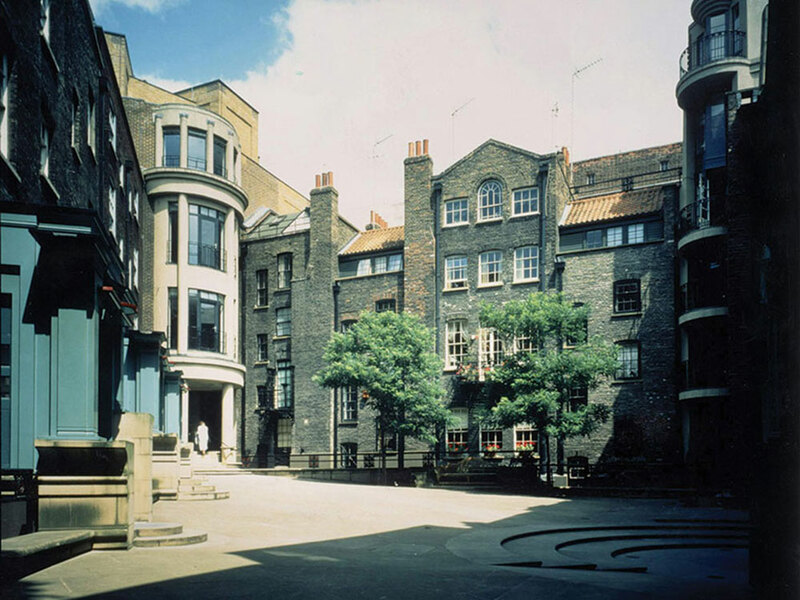 The internal courtyard has become a major landmark for the Covent Garden area of London and pioneered an approach to the recycling and re-use of old buildings and land. Uniting the past with the most exciting technologies of the present, this façade renovation and public realm development takes traditional Chinese elements as inspiration, and combines them with the latest in digital spectacle. The apothecary cabinet and its wooden grid, prevalent in historical Chinese pharmacies, is used to structure the development. The classical gardens of Suzhou provide another layer, with their textured paving providing inspiration for the floors of the Plaza. The historical Shikumen building type unique to Shanghai is abstracted and incorporated into the public spaces as evocative artworks and screens. Cutting-edge digital technologies provided a unique digitally augmented, interactive environment, enlivening a robust and elegant architecture. 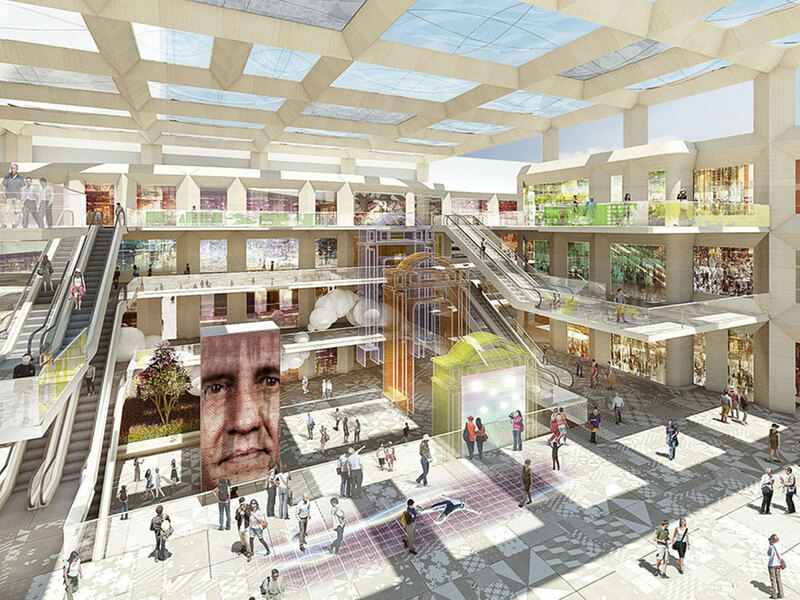 The retail plaza of the 21st century should be both an individual experience and an atmosphere which elevates the individual towards collective imagination, participation, and creativity, with shopping centres doubling as community spaces. Our designs meet the contemporary consumer’s expectation of innovative and spectacular environments and have the flexibility and capacity to incorporate events, and a variety of enriching cultural, community and entertainment activities. This is the perfect environment for Millennials, who, as a group place high value on experiences, including technology, art, and food and care deeply about design and high quality aesthetics. The primary development at Embankment Place was a new office building occupying the air-rights space above Charing Cross Station. It was technologically innovative, involving the suspension of nine storeys of offices above the railway tracks, isolating the space from railway vibration. The resulting bowstring arch over the tracks, supported on 18 columns rising through the platforms, framed a new waterfront landmark at this prominent point on the River Thames. 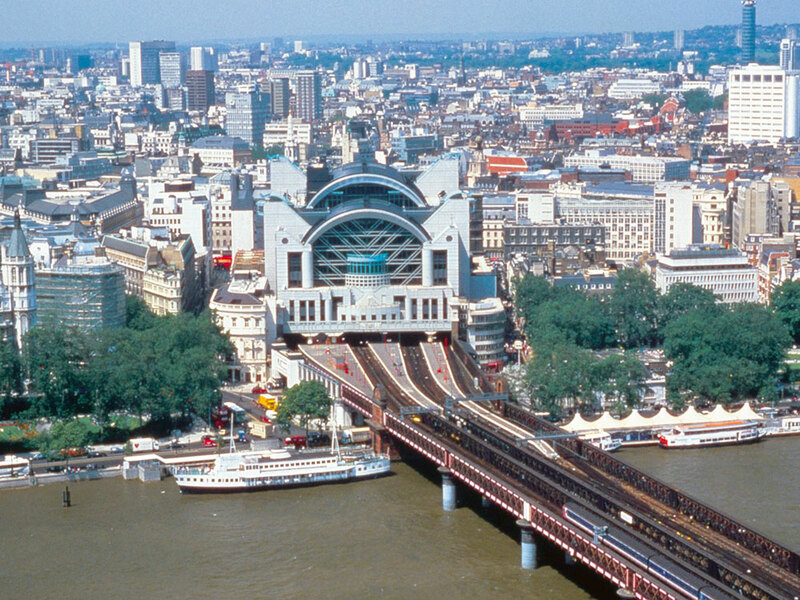 Environmental improvements included in the associated masterplan had a significant impact on the surrounding area, notably Villiers Street and Embankment Place, Embankment Gardens and the station concourse and forecourt. Hungerford Bridge was extended to Villiers Street and into the station concourse, providing a direct route from London’s West End to the South Bank Arts Centre on the opposite side of the river. The project won the 1991 RIBA National Award, the 1991 RTPI Award for Planning Achievement, the 1991 Civic Trust Awards and the 1994 BCO Award amongst others. This former Grade A-listed orphanage was transformed by Farrells into a visionary exhibition space housing an extraordinary collection of Surrealist and Dadaist artwork. The Dean Gallery is located in close proximity to the existing Gallery of Modern Art in Edinburgh. The resulting masterplan created an Arts Campus. 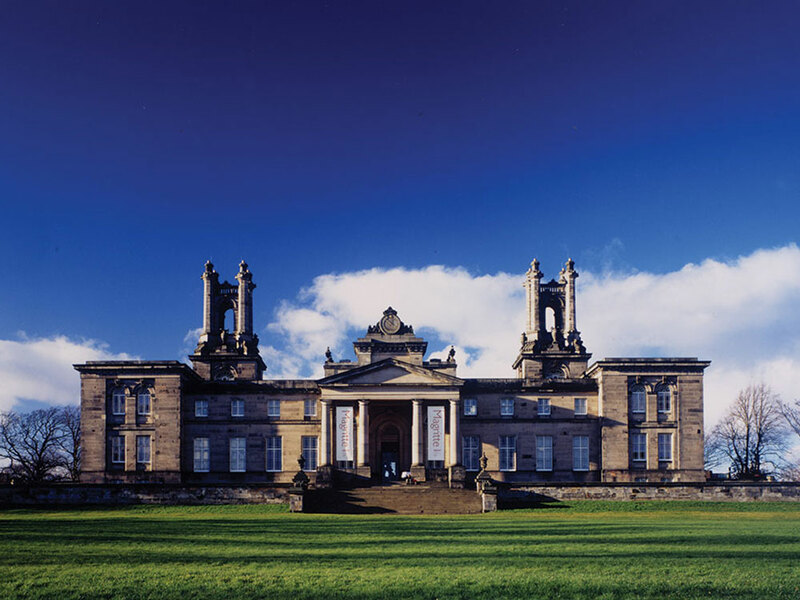 This incorporated both the Dean Gallery and the Gallery of Modern Art in a unified parkland setting of landscaped gardens and sculpture. The masterplan also featured a unique ‘landform’ designed by Sir Terry Farrell and Charles Jencks. This dramatic work to the lawn to the front of the Gallery of Modern Art, comprises a stepped, serpentine mound reflected in three crescent-shaped pools of water. The National Galleries of Scotland had originally envisaged a maximum project value of £1,900,000. Farrells put together a submission for the Heritage Lottery Fund that raised an additional £6,300,000 for various elements, including additional air conditioning, café, enhanced display and lighting and landscape works. The project won the 1999 Scottish Museum Award. 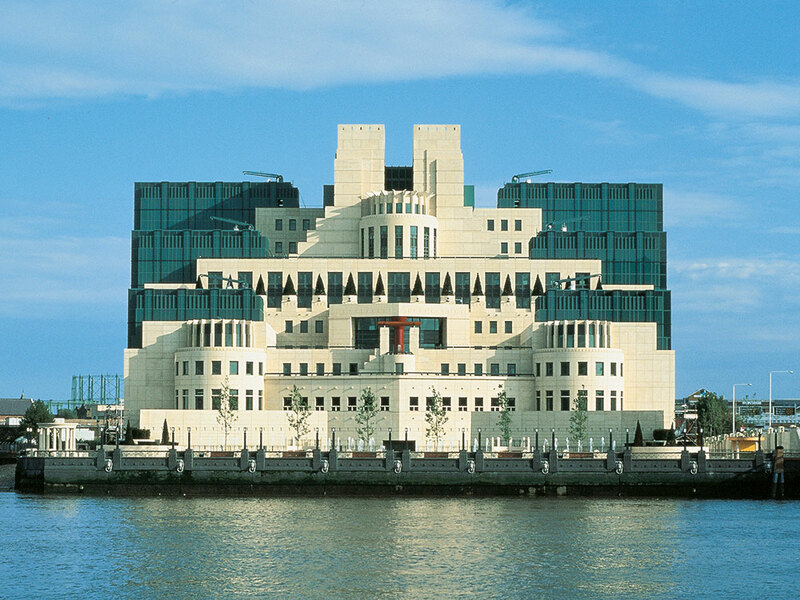 This headquarters building for MI6, on the banks of the River Thames, is an iconic London landmark made famous by the James Bond films. The building is a group of three blocks – low-rise on the river side and medium-rise onto Albert Embankment – which are linked by glazed courtyards and atria. The upper six floors of the building provide standard office accommodation, while the lower floors contain many specialist areas including computer suites, conference rooms, restaurant & bar, auditorium and sports area. A number of areas, including the main entrance hall, have been designed to accommodate the client’s particular security needs whilst specialist interior design was carried out throughout. The public have access to the riverside along the newly formed, landscaped riverside walkway from both Vauxhall Cross and the Albert Embankment. As a high-end, all-suite hotel, the Richardson includes service apartments, a business centre, a sumptuous day spa, and fine cuisine at the elegant Opus restaurant. The design creates a landmark destination for exclusive business travellers to Perth, Australia with luxurious apartments and every amenity to ensure a comfortable and memorable Five Star experience. This unique boutique hotel was designed with a holistic approach – grand and outstanding, yet conservative and pragmatic. Designed with the modern traveller in mind, the Richardson hosts 74 guestrooms and suites over eight floors, with private balconies and panoramic views of Perth City, Kings Park and surrounding areas. Building on the success of the stadium, Farrells masterplan vision for Sportcity offers tremendous opportunities to completely integrate the existing urban sports district with the natural landscape setting of the Medlock Valley and Ashton Canal in East Manchester. The intention is to create a district for Manchester, with a world class casino and hotel resort as the next building block of Sportcity’s comprehensive development of a hitherto brownfield wasteland. A fundamental part of the vision is the creation of permanent social assets and economic engines for the communities of East Manchester. The re-invention of Sportcity as a place in the city and a social and public facility will act as a catalyst for the creation of a new inhabited district of Manchester representing the best in sustainability and social inclusivity, complementing the wider East Manchester regeneration framework. Farrells strategic masterplan proposals have been conceived as part of a far greater understanding of the way in which Manchester is evolving, reinforcing the relationship of Sportcity to the city centre, and bringing both economic and social benefit to the city region. 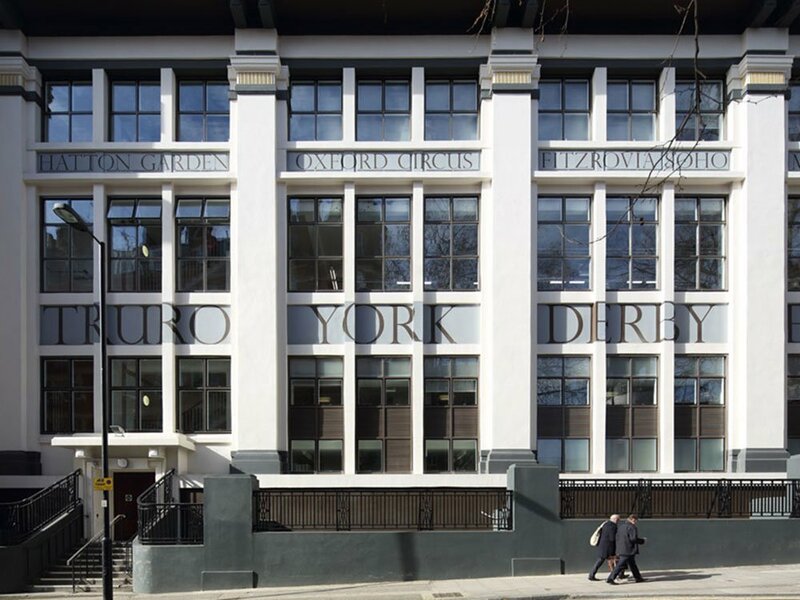 This exciting project has brought back to life the once dated facades of the iconic Royal Mail Sorting Office in Mount Pleasant, London. Following a review of their central London operations, the Royal Mail Group consolidated its mail processing in the capital into the existing facility at Mount Pleasant. Taking this opportunity to refresh their iconic site at Mount Pleasant, a comprehensive programme of office workspace improvements was undertaken by Farrells. This included fabric improvement and window replacement on the external envelope of the building and an imaginative reworking of the image of the building and the business within it. The building’s elevations have been enhanced with a new colour scheme, window replacements and an overall upgrade. On one elevation, an innovative decorative scheme by Farrells in collaboration with FAT announces its purpose through a series of national and local place names served by the Post Office, such as York, Exeter, Soho and Farringdon. These place names are painted onto the building exterior, to give the impression that they were inscribed onto the original façade. In addition, Farrells designed a brand new pavilion building on the site, which re-establishes the main entrance to the offices. Elsewhere, formerly plain elevations are enlivened by “trompe d’oeil” painted motifs, further announcing the ‘rebirth’ of both the business and the facility. The geometric motifs are repeated across the facades, as an accent to the newly restored windows. While the patterns themselves are bold, eye catching designs, they are used sensitively to highlight the gentle rhythm of the façade. Building on the character of the places at the corners of this large former void in the city, Farrells masterplan creates ‘more of London’, providing 1000 new homes and 150,000 sq ft of small scale retail and commercial uses. The Bloomsbury Strategic Vision is the most significant cultural and educational masterplan in Central London. The project was commissioned by the Greater London Authority and the London Borough of Camden with close participation by University College London and the British Museum. 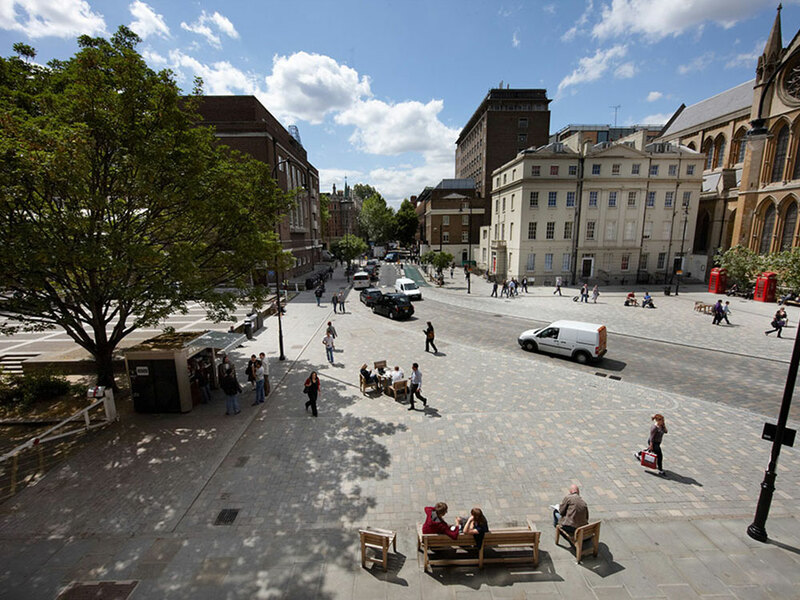 The plan recreates the area as historic enclave of intellectual activity by proposing the re-invention of Bloomsbury’s many fine squares, the introduction of a University ‘high street’, and a re-balancing of priority between pedestrian and vehicular movement. We produced a strategic masterplan as well as detail design guidelines in conjunction with landscape architects Edco. The strategy puts forward an ambitious vision which can be implemented by many hands as opportunities for change arise.